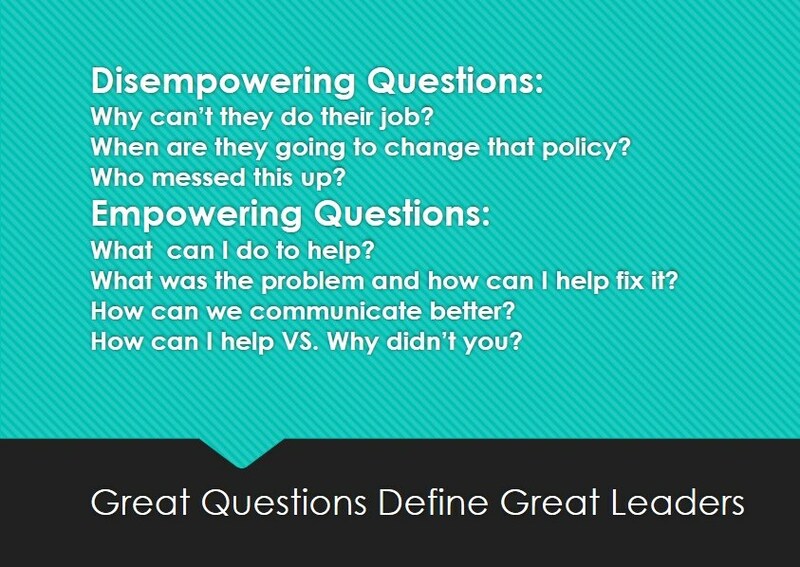 Why Leaders need to ask Empowering Questions? Effective leaders often take the time needed to fully understand the decisions and thoughts of others. Two questions come to mind about organizations and the people that lead them. Are there any organizations willing to invest in a culture of inquiry? 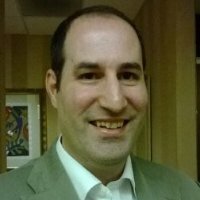 Are there any organizations able to make the leap from knowing things to asking things? If leaders want their employees to take initiative, they need to encourage people to ask questions and let them come up with innovative solutions that maybe you did not think of yourself. Great leadership happens when the team shines and its individual members are more satisfied at work after having played a meaningful role in problem solving and solutions. Leaders need to create a questioning climate where employees feel safe and able to trust the system and the people involved. Without this level of safety and comfort, people are generally unwilling to be vulnerable, and to be comfortable answering questions that might seem threatening. 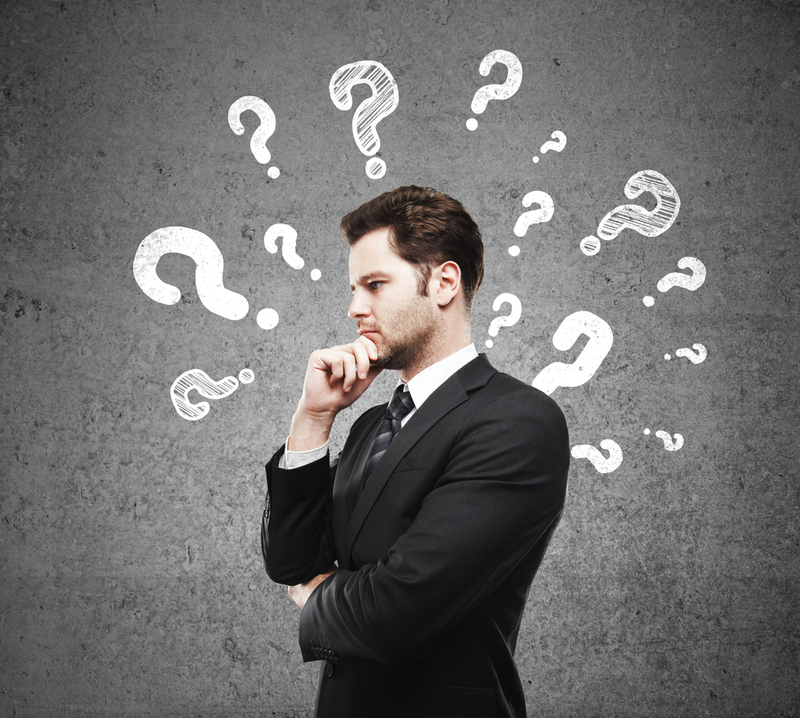 The problem many of us face is that we don’t know how to formulate a good questions. Here are some examples on Empowering questions VS. Disempowering questions. Imagine an organization that every employee is asking, “What can I do? “What can I do to help or contribute to better performance?” Maybe we can’t fix everything, but I can help with X, Y and Z. < Previous The power of inclusion, it’s not all about you. Fantastic post about the importance of engaging our employees, showing them that they are valuable, and we are in this together. The willingness and ability for leaders to engage their their team members through asking rather than telling is a critical skill, particularly in the current era. This blog by Tal Shnall via his Leadership Cafe site offers much to think about business culture and our contribution to it. Pinned your image of questions, Tal. It takes serious thought to come up with empowering questions. Thanks for showing us how it’s done.